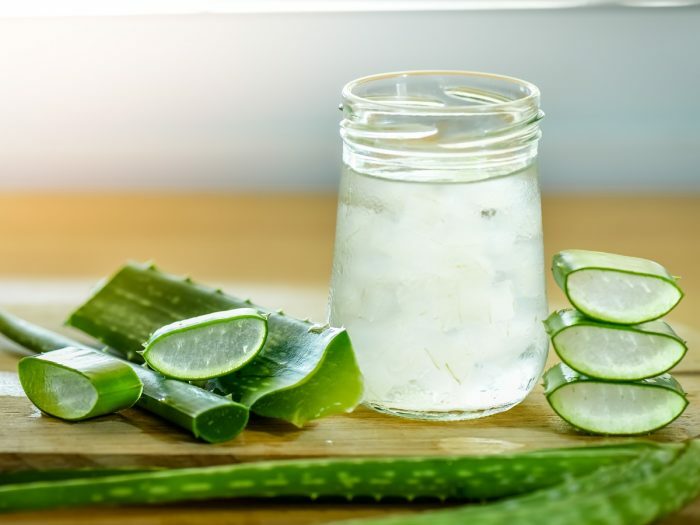 Aloe vera juice is made from the leaves of the aloe vera plant, and unlike the processes to acquire the extract of this plant, the juice is made by crushing, grinding, and blending the entire leaf. After several filtering steps, the juice can be consumed for its concentrated nutritional values. While the smell of this plant can be potent, the juice is quite mild and easy to drink, which is why it has gained popularity of late as a health supplement or a dietary drink. So, let’s take a look at how to make aloe vera juice! Try out this delectable drink, with a healthy punch! 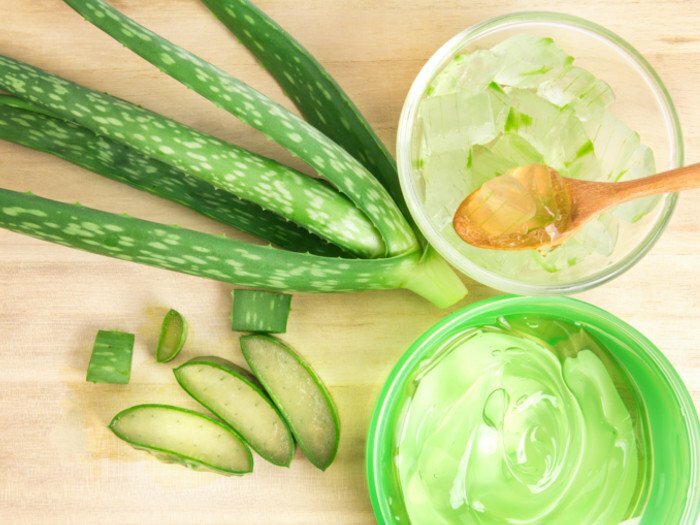 Using a sharp knife, remove the outer layer of the aloe vera leaf, which is often covered with thorns. The second layer of the aloe vera leaf is the latex part, which is predominantly yellowish in color. Cut through the latex layer of the leaf, to reveal the clear aloe vera gel inside. Scoop out the gel as much as possible and transfer it to a small bowl. Measure out two tablespoons of aloe vera gel and add it to the water in the blender. Blend thoroughly for 2-3 minutes, until the liquid has a uniform consistency. Add some lime juice or a few pieces of cucumber to the infusion, to enhance its flavor. You can also prepare a variation of aloe vera juice with honey, alcohol, or white vinegar for additional flavor. Average rating 4.0 out of 5.0 based on 37 user(s).